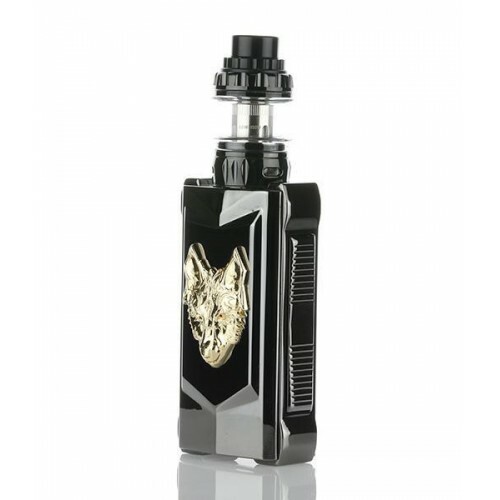 The Snowwolf Mfeng Kit features the luxurious Snowwolf Mfeng mod with a 3D Snowwolf logo on the back of the device. Double fire buttons are found on the side, while the mod has an overall futuristic design and appearance. It has a very fast output speed of 0.0008 seconds with 10 levels of brightness that can chosen for the user interface. The mod measures 91.5mm tall, 49mm wide, and 30mm deep and has a wattage range of 10 watts to 200 watts. It also have full temperature control (100°C to 300°C / 200°F to 570°F), and a 1.3-inch TFT screen. 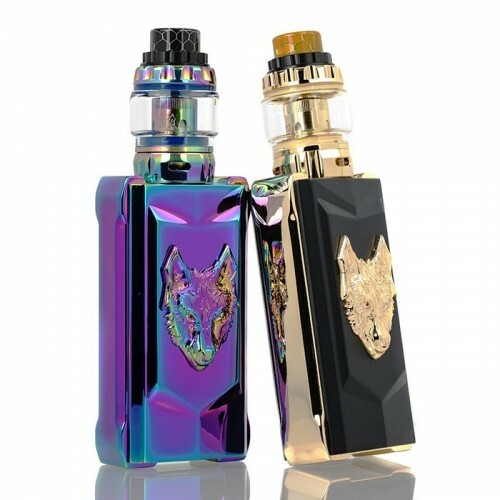 Included with the Snowwolf Mfeng Kit is the Wolf Tank, boasting 6ml capacity and a 28mm diameter while measuring 48.5mm tall. The tank is constructed from 303 stainless steel and is a top-fill style tank with adjustable bottom airflow. 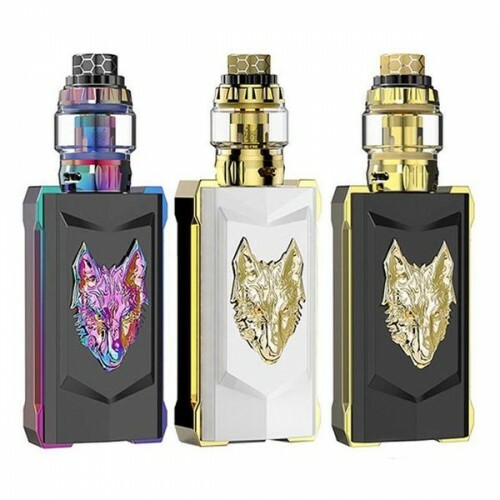 K3 QUICK START KIT:Aspire presents us an economic and convenient tobacco alternative, the K3 Quick ..
S PRIV 225W TC STARTER KITSMOK S-Priv 230W TC Kit, comes with the S-Priv 230W Box mod and TFV8 Big ..
SMOK I-PRIV 230W & TFV12 PRINCE KITThe SMOK I-PRIV 230W TC Starter Kit presents one of the indu..
UWELL HYPERCAR MOD WITH WHIRL SUB-OHM TANK STARTER KITThe Uwell Hypercar Starter Kit includes the ..
EGO 2 MEGA KIT:The ego ii mega kit is built around the needs of vapers with a transparent cle..
NAUTILUS MINI TANK:The Nautilus Mini is the next generation of tank systems. Made of stainless stee.. COOL FIRE 40 WATT BATTERY:The Coolfire 4 is the newest in the line of internationally bestselling .. ASPIRE NAUTILUS 2 TANK 2MLAspire brings you the new, curvy, Nautilus 2, the latest mouth.. ASPIRE NAUTILUS X 2ML TANKThe Nautilus X,the newest atomizer released by Aspire, represents the pe.. ASPIRE CLEITO 120 ATOMIZER:Aspire Cleito 120 Atomizer features "Maxi-Watt" tank under high-power va..